The Haunting of Cabin Green has been out for almost three weeks now (where did the time go?). The response in terms of sales and Kindle Unlimited page reads has been astronomical, and I’m so grateful to all of you! Now, it’s time to show everyone else what you think about the book. If you enjoyed it, please post a review to Amazon and Goodreads. Not only does this help other readers but it also helps Amazon’s algorithms (and that’s a hugely important piece for indie authors). Your opinion matters greatly! If you loved it, please tell the world! And if you didn’t, please send me a message through the Contact Form and let me know what you didn’t like or what you wish I would have done differently. I appreciate it! I know that it’s a dark, heavy book that faces grief head-on, which means it might not be for everyone. And that’s okay. 🙂 I hope you enjoyed it enough to spread the word! 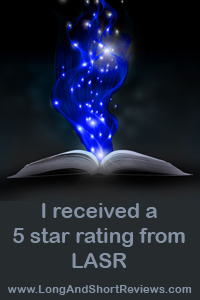 Here’s what a few fellow readers and reviewers have said about The Haunting of Cabin Green. The most important review is still missing, though: Yours! 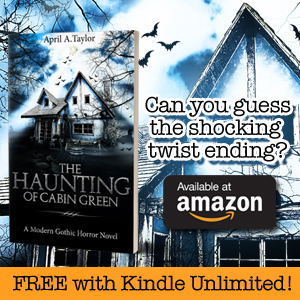 PS – If you’ve been waiting for the paperback version of The Haunting of Cabin Green, it’s available now on Amazon! Previous postThe Haunting of Cabin Green is Available Now!